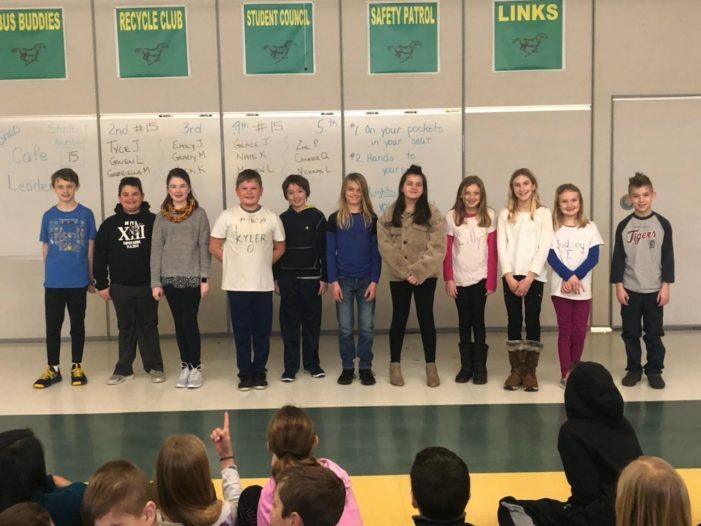 First place winner Brady Lehman; Kyler O’melia, second place; and Stella Dougherty, third place, will advance to the Oakland Schools Scripps Regional Spelling Bee after coming out on top at the Independence Elementary spelling bee, Jan. 22. The regional bee will be on Saturday, Feb. 23, at the Oakland Schools Offices in Waterford. The regional champion at the Oakland Schools competition will represent the area at the 2019 Scripps National Spelling Bee near Washington, D.C. The top three Independence spellers have been friends for years, said Brenda Lehman, Brady’s mother.